I&#39;m Elsa, but I fled my kingdom in search of a cooler one. I found this really cool thing called Pokemon. Anyways, I ended up in the Kanto Region apparently. 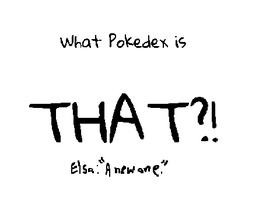 I got a Pokedex and Eevee.